If you feel like practising your driving skills then come and use our professional covered and floodlit range which allows you to play regardless of light or weather conditions. 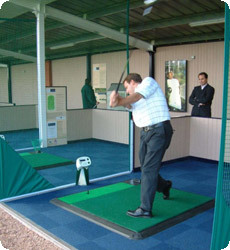 Balls can be hired for the driving range for a small amount. Don't worry if you haven't got any clubs as you can hire irons and woods for a nominal fee. Beginners and experts alike are welcome. 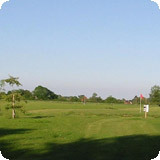 Our Pitch and Putt range is a good test for an beginner and a great way for the more experienced golfer to hone those very important short game skills.